The Durom Cup is a special cobalt-chromium metal acetabular implant that was first developed in the UK and has been in use there since 2001 (principally used in hip resurfacing, a less extensive form of hip replacement). 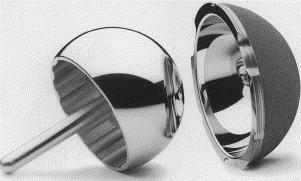 In the US, a different version of the device for total hip replacement was introduced in 2006. The reaction of Zimmer has been to blame the surgeons. However, even their analysis demonstrates a highly increased failure rate. Even Zimmer’s own study demonstrates that the device is defective. As a result of being implanted with defective hips patients are required to undergo a second surgery. All of their rehabilitation efforts from the first surgery were in vain. If you believe that you or a loved one were implanted with a Zimmer Durom Cup, and suffered from any of the injuries mentioned or other side effects associated with this product, you may have a claim.